In a fluid classroom environment, learning happens at an active pace. As students migrate through these environments, so do learning materials. With the shuffle of bodies, books, art supplies, worksheets, and iPads floating around, having an organization plan allows ideas and creativity to flow uninterrupted. Online you can find all the obvious ways of organizing a classroom, if you spend your vacation sifting through all those sites and finding the gems. Don’t worry; we’ve got you covered. Here are a few excellent ideas teachers can adapt for many types of classrooms, from science labs to computer labs. Read on for some unique organization hacks that can make things orderly in no time. Instead of spreading equipment or tools out across surfaces horizontally, go vertical with a rolling cart with multiple shelves. Take some inspiration with the way these clever bloggers stocked their carts with tools and supplies. This provides easy access as well as space-saving options that are both functional and stylish. In our previous post we mentioned the ideal simplistic style concept of Montessori classrooms, and it deserves repeating that opting for wooden, white, and transparent storage in classrooms will go far in making things feel spacious and appealing. With just a few adjustments, teachers can swap out loud colors for subdued tones that are relaxing and calming. Wooden storage bins combine the concept of vertical storage with a serenely-colored palette, making them easily arranged anywhere in a classroom. Clear shelving units free up space for worksheets, allowing for easy collection or distribution while maintaining management.Print outs can remain collated and tools can also be stored neatly on these shelving units for easy student access. 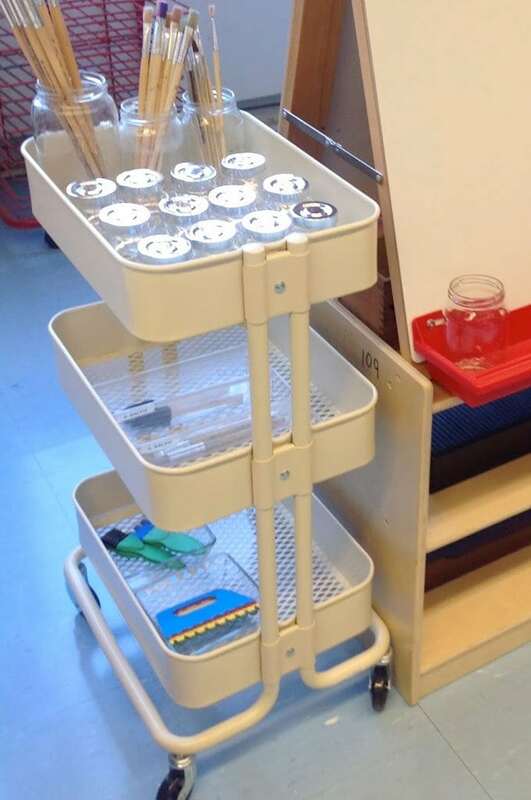 Opting for white containers is also a great way of storing class materials like books, technology equipment, and games, all while polishing the look of your education space and hiding those distracting but oddly satisfying fidget spinners. 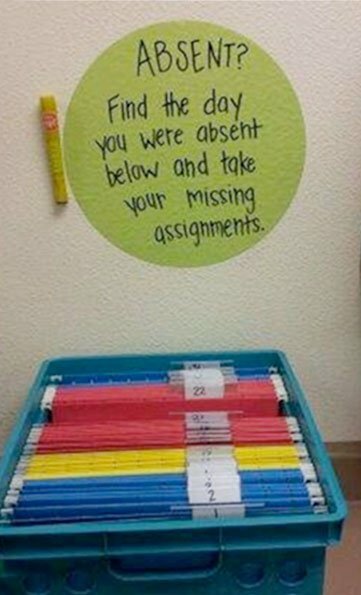 Click here for more classroom organization ideas. 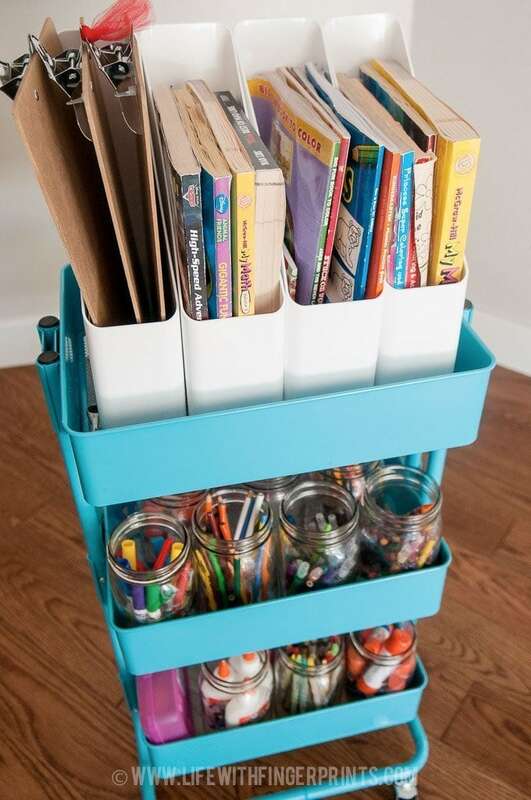 If classroom tools are occupying all your shelving and storage spaces, consider this cool and inexpensive organization hack from Maflingo. 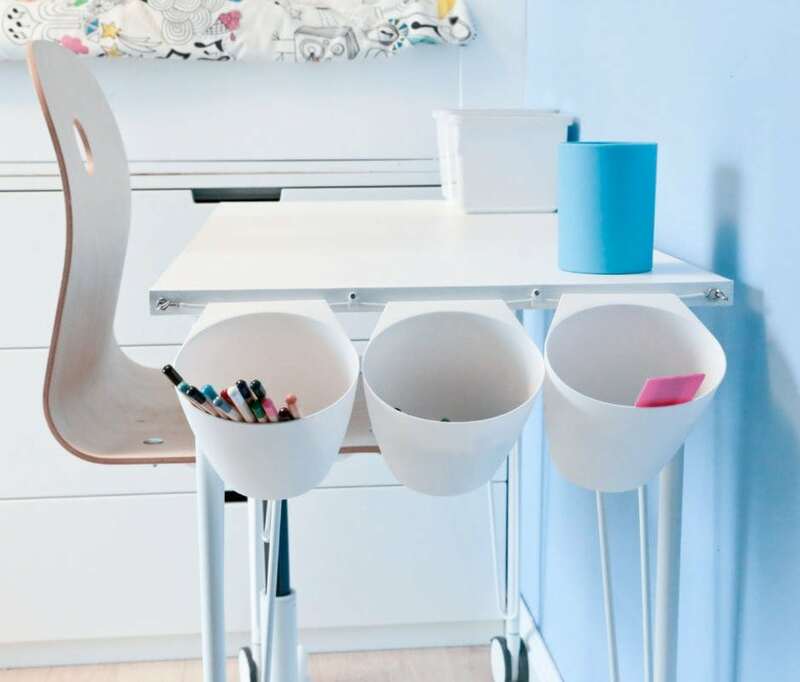 With a little cord, a screwdriver, and low-cost cups from IKEA, you can add storage right on your students’ desks and free up some of that surface area. Consider moving your items out of view with these bad boys from MochiThings. These cleverly-designed pouches and wallets have pockets of varying sizes, maximizing the possibilities. With so many options, there’s a space for everything. 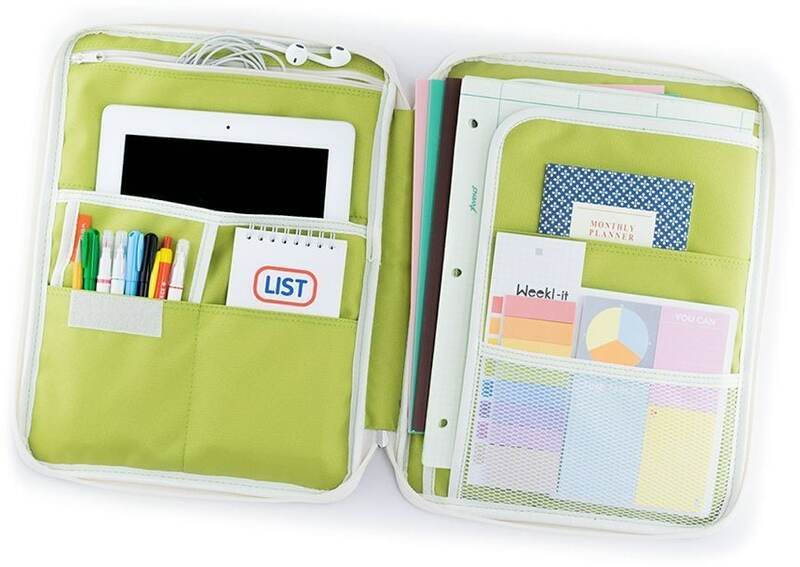 These folders also provide a great way of storing tech components for students. DVDs, headphones, iPads, and charging cords can all be kept in one convenient place and, more importantly, pack up easily for the average kid and/or busy teacher. Finally, this hack comes straight from Pinterest, the wonderful website robbing you of time but bestowing you with inspiration and creativity. Give your students control by creating a self-service station for those absent work make up days. A simple sign, along with some labeled hanging folders, eliminates the guess work for them and the hassle for you. Organizing your classroom is challenging and takes time, but discovering strategies that work for you takes out some of the guesswork. Draw upon some inspiration offered here. Turn some tips into reality. You might just become an organization guru this year. What are your favorite resources for finding and modifying hacks? 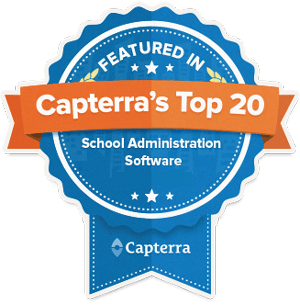 Click here to see how Gradelink can help organize your students’ data.